As we had posted a while back, VMUG Advantage Evalexperience had seriously sweetened the already sweet deal of the Advantage subscription by adding in VMware NSX to the mix. This was the real major remaining piece to round out the SDDC pieces in the VMUG subscription. As mentioned it was already a great deal for he price before NSX, but now was a tremendous deal. Well, additional news from VMUG in the past couple of days, they are now bundling vRNI with NSX! So, it gets even better – Now the VMUG VMware vRNI bundled with NSX offering is really an great learning and labbing value for all who want to take the major pieces of VMware’s product offering for a test drive. Enhanced Event Management Experience – New config and communiction checks are now in place for polling NSX manager, controller, and other data plane services. Events have been extended to include name, severity, category and best practice remediation. Enhanced micro-segmentation visibility – Share wedges has been expanded into groups and provides increased visibility and improved planning of microsegmentation environments. Coniguring firewall rule direction is supported. NAT improvments – You can visualize communication traversing NAT between VMs on a VM-VM path trace or troubleshooting queries. This helps in troubleshooting or configuring NAT and observing flows. Added support – This version of vRNI supports both NSX v6.3 and vSphere 6.5 which are the latest and greatest. A great resource is VMware’s vRNI page that has a lot of very useful information, videos, and even hands on labs that you can quickly access vRNI without having to spin up your own lab to do so. Gaining access to your software in VMUG couldn’t be easier. 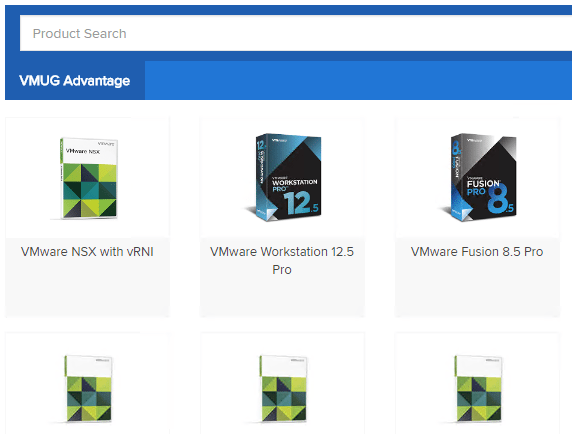 Once you login to the VMUG Advantage portal for downloading software, you will see all the products listed under your subscription. 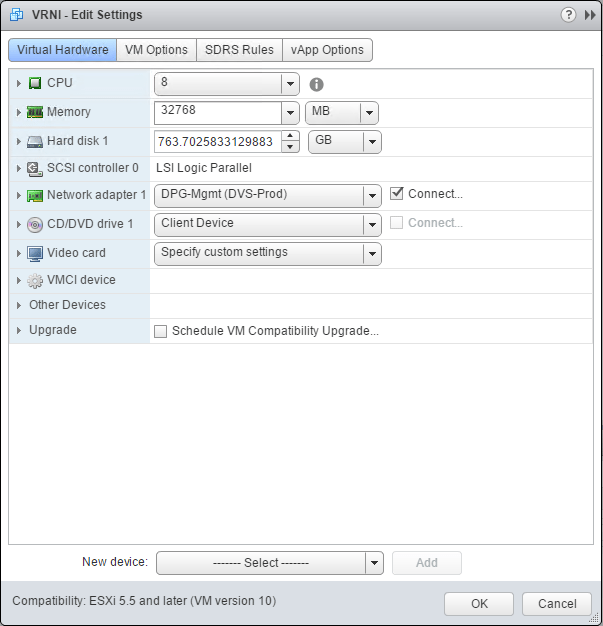 The NSX option now is denoted as VMware NSX with vRNI. 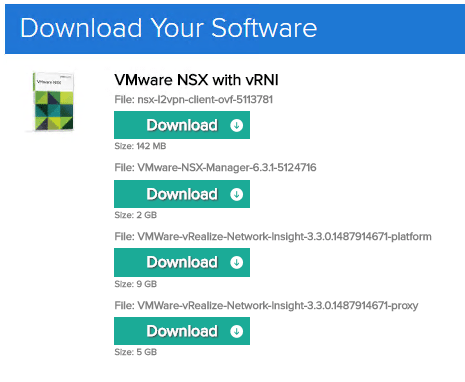 Once you add the VMware NSX with vRNI to your cart, you will see your software available for download. In the case of both NSX and vRNI this is in the form of OVA appliances. Look for a full Install and configure post in the future here on installing vRNI, however, the installation involves deploying the downloaded OVA files. Be aware, these are heft downloads! They are roughly 9 gigs for the platform, and 5 gigs for the proxy respectively! Also, even in the medium configuration, the VM is provisioned very beefy “out of the box” – 32 GB of memory and 8 cpus. For home labs, most will want need to trim this back. The news of VMUG VMware vRNI bundled with NSX offering is quite exciting indeed! VMUG keeps getting better and better. If you are learning or spend a lot of time labbing VMware products, there isn’t a better deal to be had to have access to VMware products. Checkout VMUG Advantage EvalExperience.